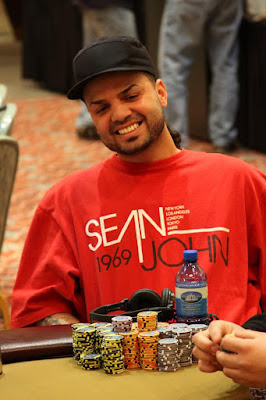 2007 Foxwoods Poker Classic Main Event Champion Raj Patel has been eliminated from the tournament. 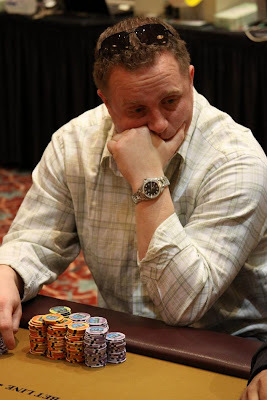 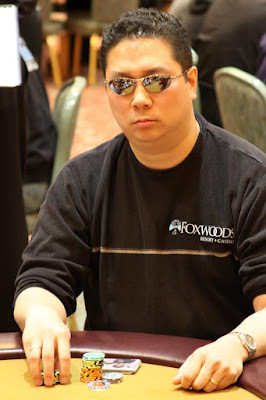 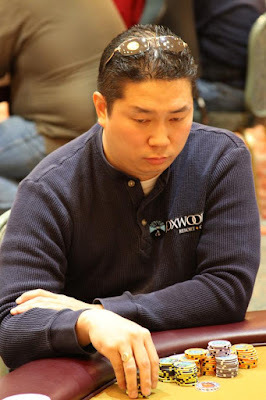 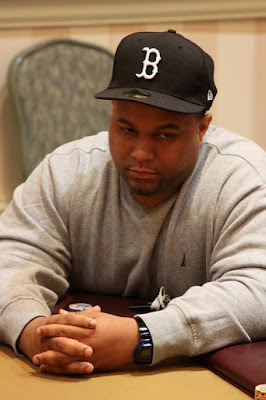 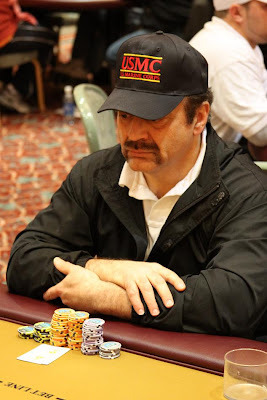 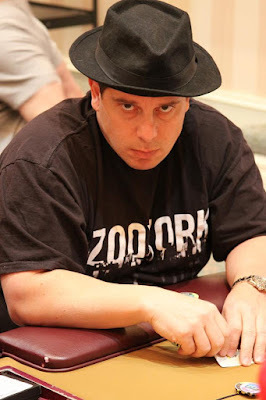 After taking some hits on a few big pots, Bernard Lee was eliminated from the Foxwoods Main Event when his A-Q could not improve against his opponent's set of three's. With over 30 players already eliminated during today's play, chips are flying around at a rapid rate. 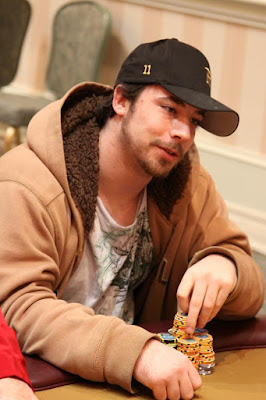 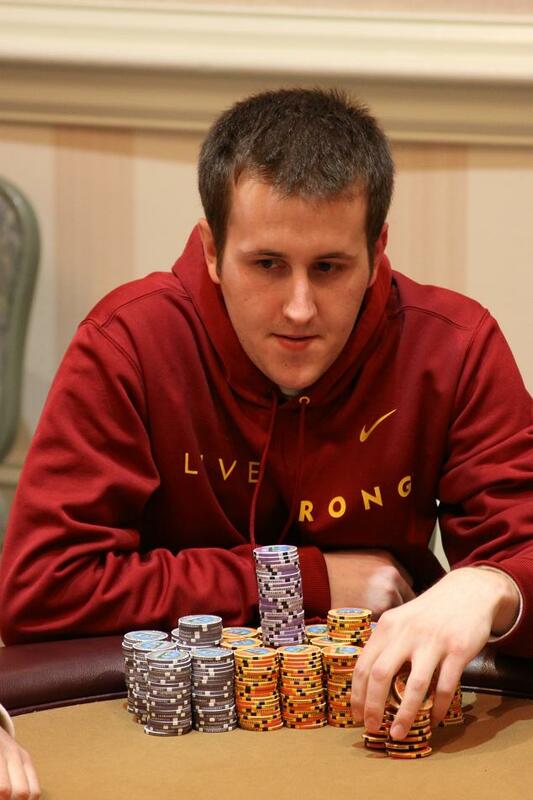 One of the beneficiaries of that is Chris McCormack, who now is right at 300,000 in chips. 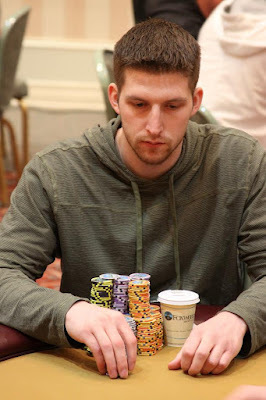 James "jcamby" Cambell has been eliminated when his [7c][7h] failed to improve against his opponent's [Ac][Ah] on a [Kh][Qs][5c][Jd][As] board. 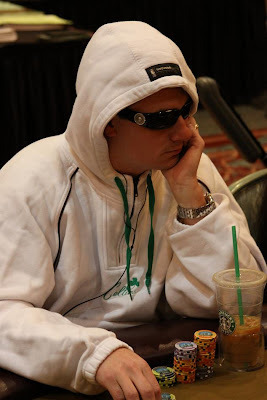 There are now 87 players remaining. The turn was another deuce and the river was a queen. Lee's aces held up to eliminate Nesheiwat and boost Lee's stack to around 140,000. 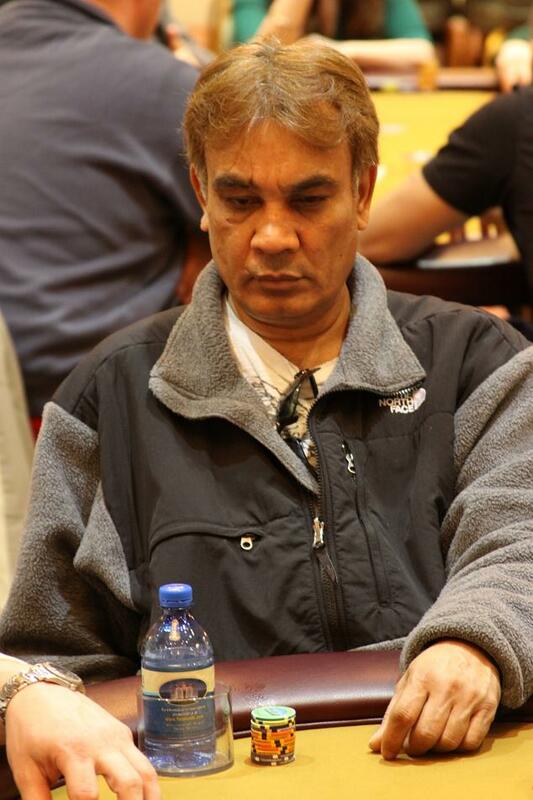 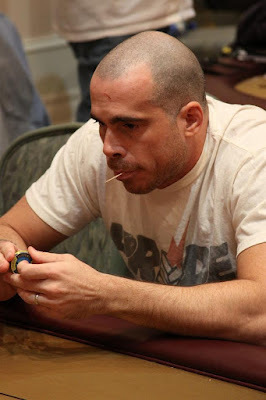 Mike Leah raised to 3,000 preflop from the button and was called by Lokesh Garg in the small blind. 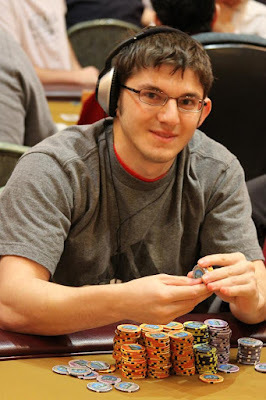 The flop came [Ac][Tc][Ts] and Garg checked. Leah fired 2,300 and Garg made the call. The turn was the [6s] and both players checked. The river came the [3s] and Garg bet out 7,000. Leah went into the tank for a few moments. He only had about 23,000 total but tossed in the 7,000 in chips. Garg said "Good call" and turned up [Ks][Qc]. 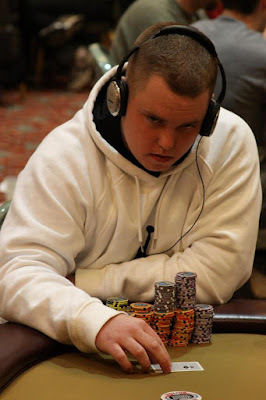 Leah flipped up [Jh][3h] for two pair, tens and threes, and raked in the pot. 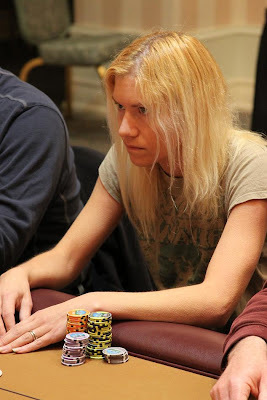 Despite making that great call, a still short stacked Leah was knocked out just a few hands later. 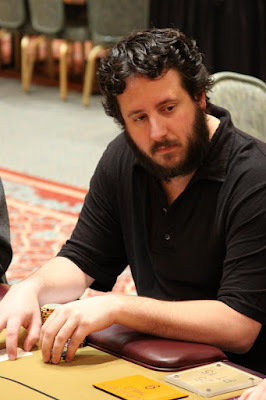 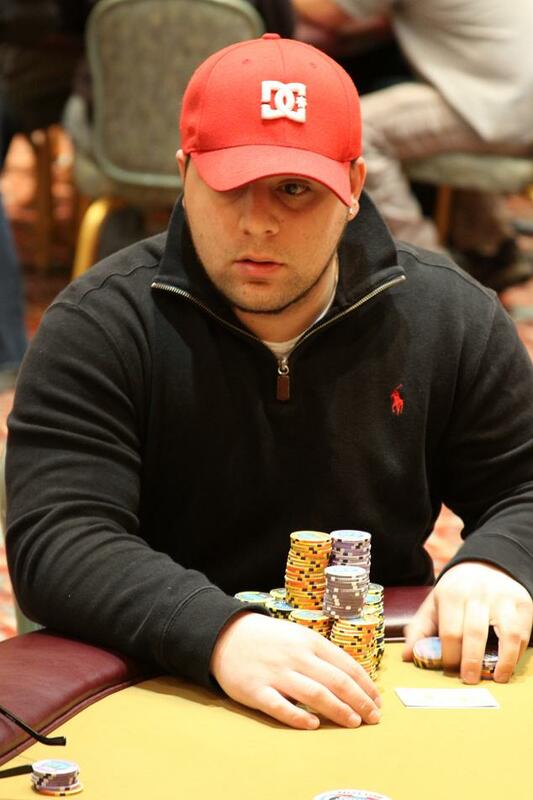 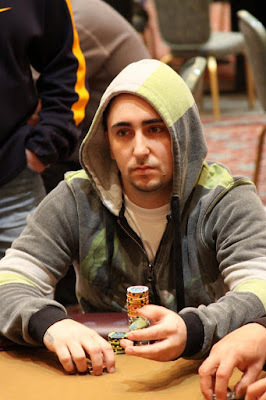 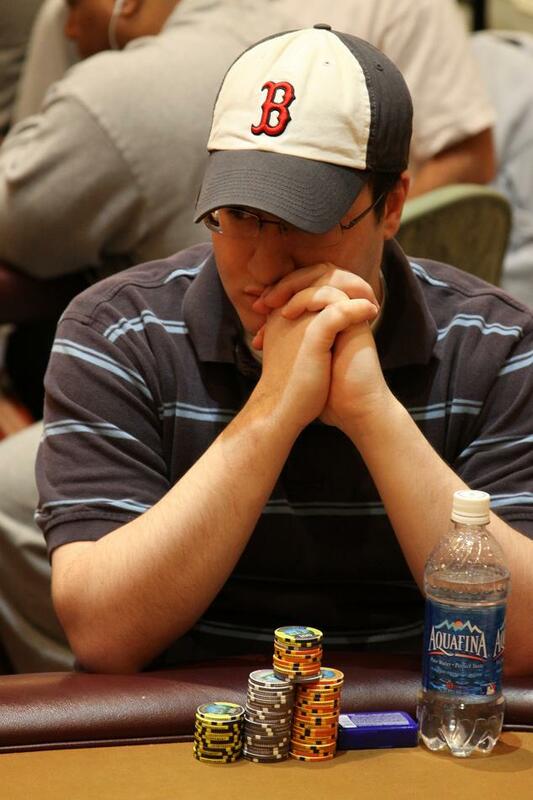 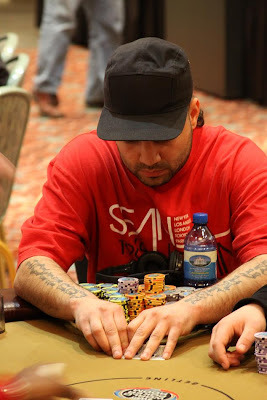 Jonathan Jaffe just doubled up through Mirsad Kovaci early on in today's action. Jaffe had pocket aces against Kovaci's pocket fives on an A-9-x-9-5 board. 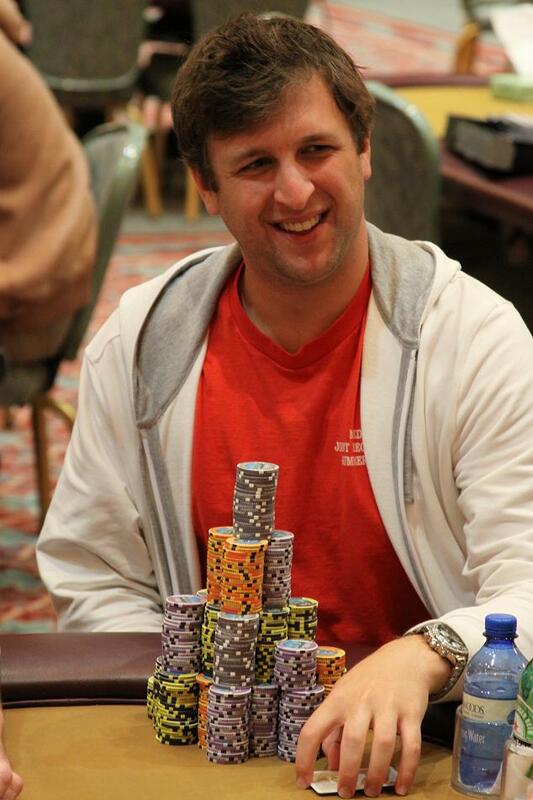 Jaffe is now sitting on over 220,000 in chips. 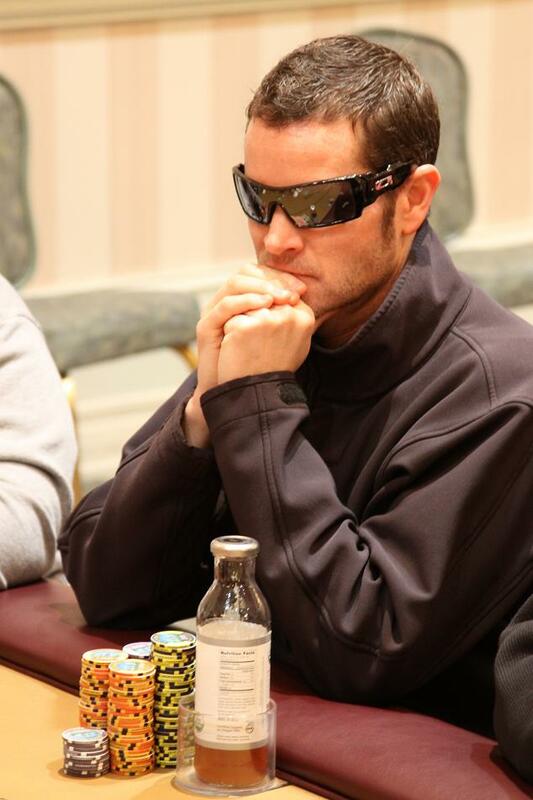 The blinds are 600-1,200 with a 200 ante. 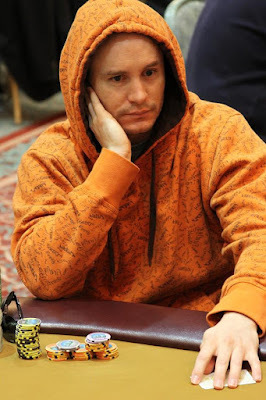 There are 104 players remaining. 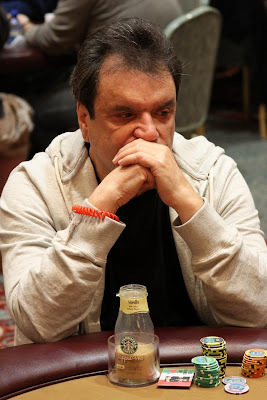 They will play 8 levels today. Day two of the Foxwoods Poker Classic $3,500 Main Event is set to begin in about ten minutes. 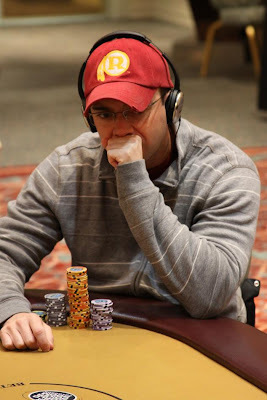 Seats have been redrawn for today's action. 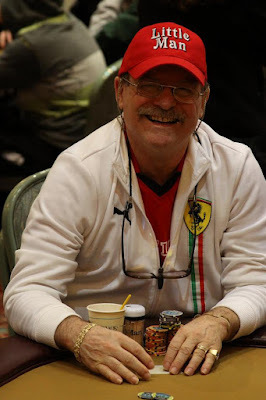 Play has ended on day one of the Foxwoods Poker Classic with 104 players remaining. Play will resume tomorrow at noon.